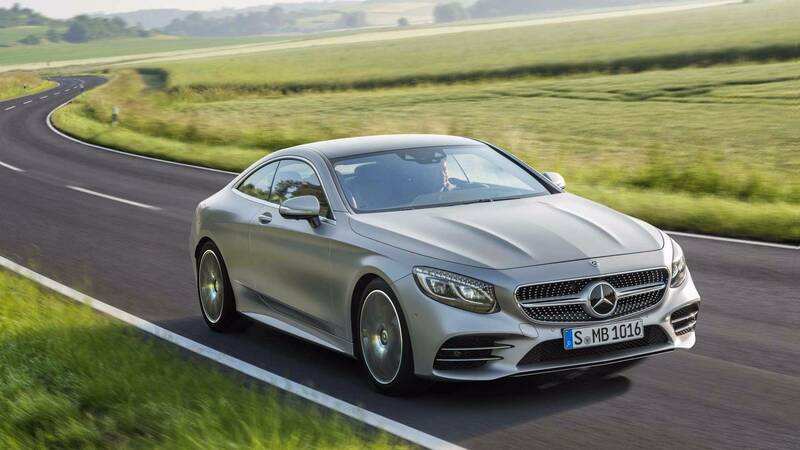 Mercedes AMG has launched its S63 coupe in Europe. The luxury car will be available only for six months from now. Earlier, the car maker launched the S-Class and Cabriolet at the Frankfurt Motor Show in September. The deliveries for these car will begin in January 2018. The S63 AMG coupe has been priced at 202,121.50 Euros or USD 237,688. To do justice to the ‘Night’ Edition nomenclature, the car comes drenched in two exterior colour options viz Night Black Magno and Selenite Grey Magno. As far as yellow shade is concerned, the colour can be seen on brake callipers and mirror housings. To further spice up the package, the Mercedes AMG S63 coupe comes with an aerodynamics kit that includes lip spoiler on the trunk along with a large splitter upfront. The aforementioned elements are being offered in gloss black colour but Mercedes can change them to carbon fibre for you if you order the carbon fibre package. Furthermore, on each side of this car, a set of stripes run low across the body length. The car further features seven spoke light black alloy wheels that are complimented by ceramic brakes and high sheen rim flanges. The cabin of the Mercedes AMG S63 coupe can be seen with plenty of yellow inserts. The sporty seats, door panels, instrument cluster, arm rests, floor mats, central console, upper portion of the steering wheel all come with yellow shade to make the interiors look significantly different in comparison to the standard model. Besides these, the diamond pattern nappa leather wraps the interior and offer a premium touch. 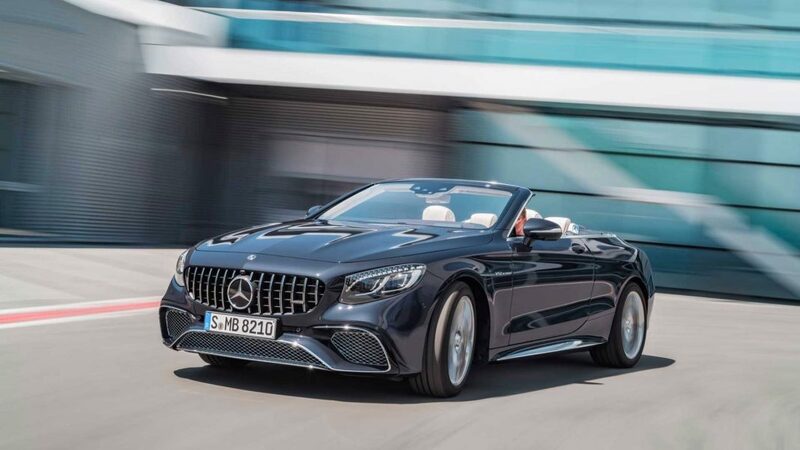 The new Mercedes AMG S-Class coupe and the Cabriolet are now being offered with a Panamericana grille. Powering these two is a 4.0-litre, biturbo V8 engine that is good for generating 604 bhp of power and 900 Nm of torque. 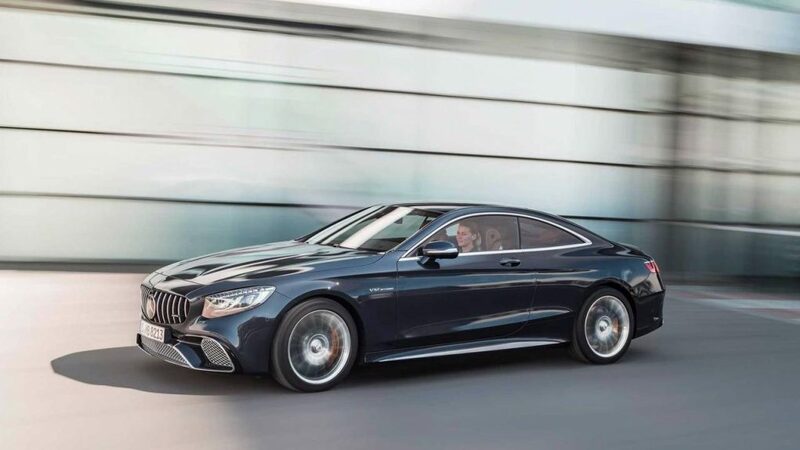 Talking of the S65, the car continues to get its power from a 6.0-litre, biturbo V12 motor that sheds out respective power and torque figures of 621 bhp and 1,000 Nm.